Mark sees the need for an alternative to litigating sensitive family issues in court, where both the emotional and economic costs can be overwhelming. Mark has become actively involved in Collaborative Law and Collaborative Divorce and recognizes the collaborative process as a viable alternative to litigation in resolving disputes. Mark is limiting his matrimonial practice to only representing divorce clients within the Collaborative Process and Mediation. Mark was a co-presenter at the Rockland County Bar Association): “Tools for Successful Negotiations” (2014). Mark was a co-author of “The Breakup of a Business Doesn’t Need to be Brutal! There is a Better Alternative: Collaborative Law” (2013). Mark was a co-presenter: “Introduction to Collaborative Divorce and Civil Collaborative Practice” (Orange County, NY, CLE 2012). Mark has taught Political Science and Law related classes as an Adjunct Assistant Professor in the Politics Program at Marymount College of Fordham University, teaching and designing courses in Constitutional Law and Civil Rights, The American Judicial Process, American Government, and Public Policy Making. Mark has also taught classes in American Government at Westchester Community College and Mercy College. Mark was a faculty member for IACP teleconference 2011 “Effective Practice Group Meetings, How to Keep Your Members Coming Back!”. Mark was a co-presenter on the: “Roadmap of the Collaborative Divorce Process” (IACP Forum, San Francisco California, 2011). Mark is a co-author of the “Road Map of the Collaborative Divorce Process” (2009). Mark's work was published in the IACP Collaborative Review, Volume 9, Issue 5, Spring 2007 "Creative Strategies for Enrolling the Reluctant Spouse in the Collaborative Process". In October of 2007, Mark Bass and Stephen Gordon presented a workshop at the IACP Forum, held in Toronto Canada "The Reluctant Spouse: Solving the Problem and Expanding Collaborative Practice". 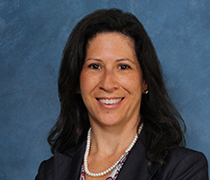 A founding member of the Collaborative Divorce Group of Westchester and Putnam.